The most beulah-ful place. – Journey to the Good Life! Journey to the Good Life! Before I start talking about Beulah let me explain a little about my brother and sister-in-law. I touched on this in the post about us going to Yellowstone and Stanley but let me clarify and give some background information. They met in kindergarten and then started dating in college. Got married and bought a great foreclosure opportunity, fixed up said foreclosure and sold it for a smart amount of money. 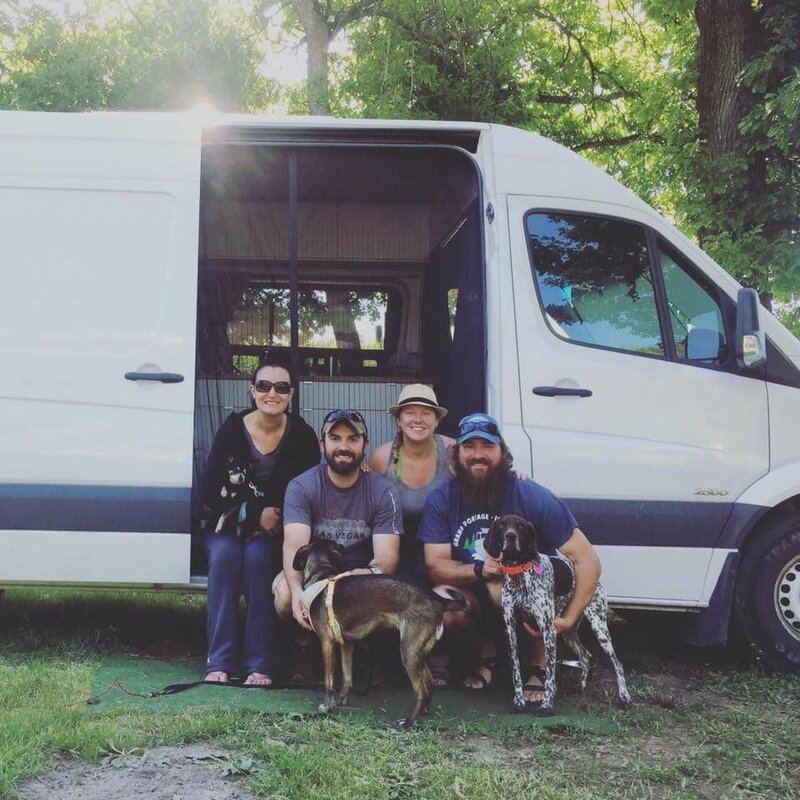 While they were in the process of selling their house and bought a Sprinter van and turned it into a RV and became a part of the #Vanlife movement and loved 99% of what it had to offer. Of course everyone who knew them and didn’t/couldn’t/chose not to do the same thing was pretty jealous! Myself included. I also knew that if I were to do something like that I wouldn’t want the adventure to ever end (part of the 1%). They are making their dreams come true and that’s what this life is really all about… Finding something you REALLY want to do / something you’re passionate about – find a way to do said plan – execute the plan. 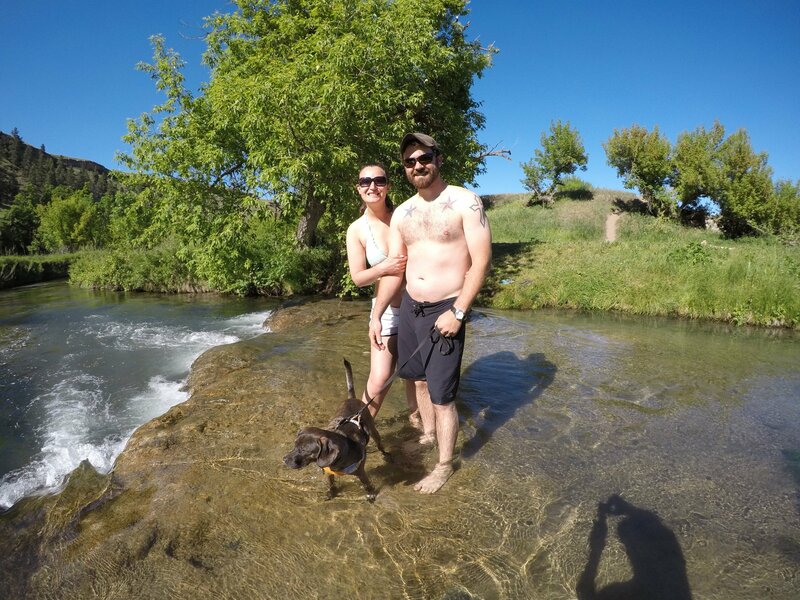 My brother and sister-in-law went around The United States in their van hitting amazing BLM land, national forests, and other spots where they could take their German Shorthaired Pointer and be away from the usual crowd of state and national parks. They had posted something on Facebook about being in Beulah, WY and it wasn’t but a couple hours later I thought to look where exactly that is. So I popped open Google Maps and saw that it was only about 9 hours away from home. Told Katie about it and she agreed. LETS GO! At this point it was 12 noon so we packed up the dogs and some clothes and hit the road! We thru out a quick text to make sure they would still be there. We ended up getting in around 1130PM-1200AM. They were waiting at the end of the road with headlamps seeing as this was the middle of nowhere and the middle of the night. They had a nice fire going so we sat around it and we all caught up because we hadn’t seen them for 7 months. We had a couple beers and hit the hay. We and the dogs hopped in the back of the car where a full size air mattress just fit. 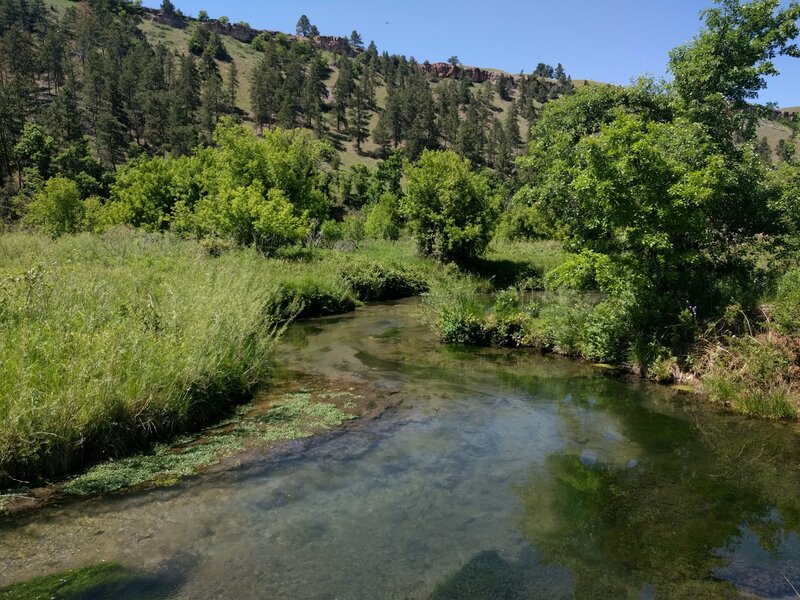 We woke up to the beautiful Sand Creek surrounded by beautiful hills! 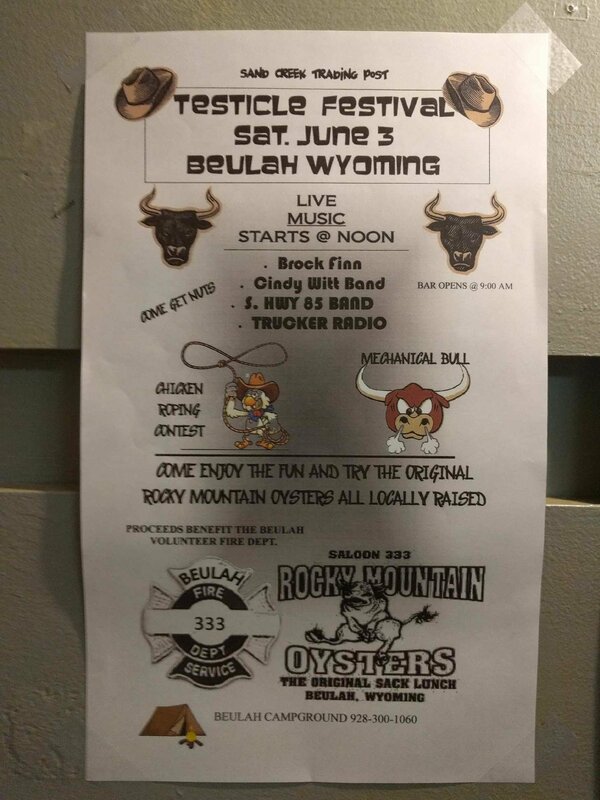 We saw in the gas station in town that they were having a testicle festival and we decided to stop by and see what downtown Beulah had to offer! All 73 Beulah residents were there plus some tourists! 4 tourists to be exact. At least that’s how it felt. We had a beer and went back to the site before the food was ready. They had signs everywhere for a pool bar. We were all excited because it was pretty hot out today! We rounded the corner and saw a above ground pool that is not a pool you can swim in and swim up to a bar. The bartender is in the water and then patrons of the bar sit around the pool. Kind of backwards but whatever. 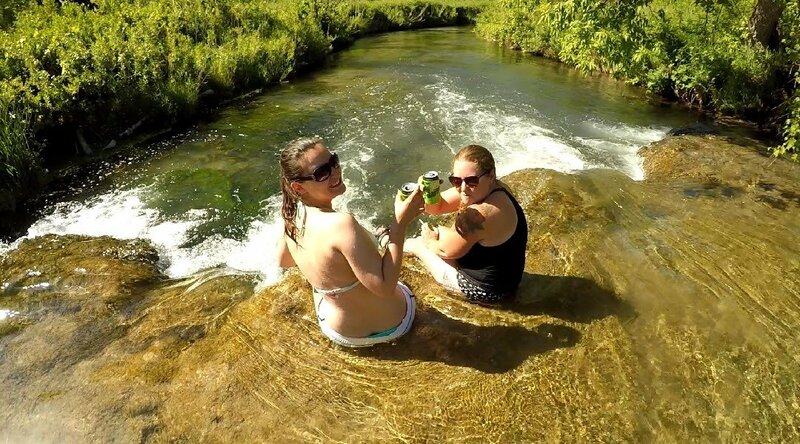 We spent the rest of the day catching up more, hiking around and floating the creek. David and Adrienne’s dog Mavis and our dog Maggie love to play and could just run all day long!! And that’s what they did! 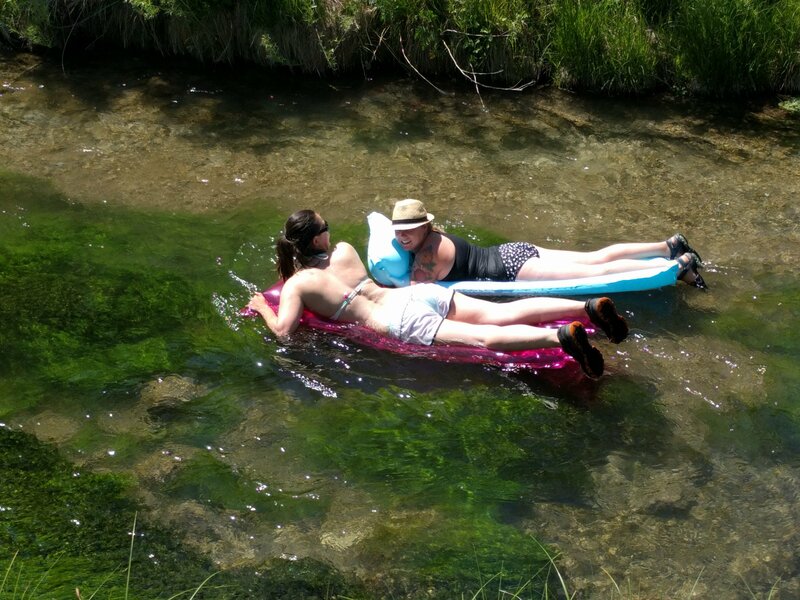 Katie and Adrienne floating down the spring! 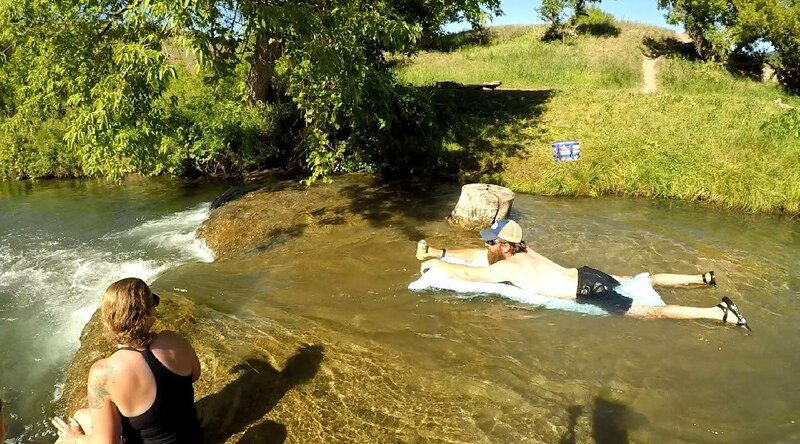 Daver shooting the rapids with a beer. Classic ! Katie and Adrienne cheers-ing to a great spontaneous weekend. We had another fire and drank some beer. We talked about their plans for the next couple months. We tried to figure out when the next time we’d see each other would be! We then said our goodbyes that night because we wanted to head out early and get home to prepare for the week. This was one of the best weekends we’ve had in a long time! 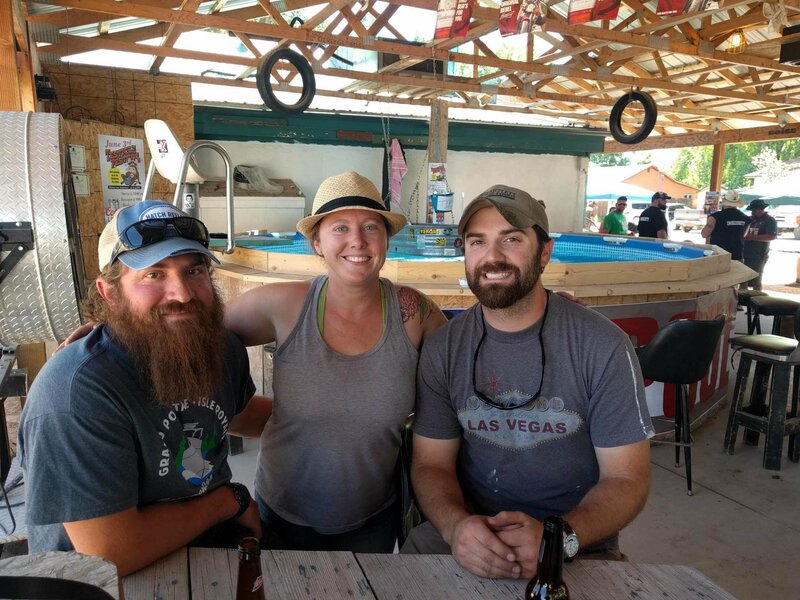 Pingback: Western Road Trip July 2018 – Journey to the good life! Last sunset of this vacation. It's a bittersweet ending for me! I'm going to miss the 80 degree days and warm ocean but I'm exited to get back home to Minnesota and to our Maggie Girl! 2018 was full of hard work and travel! We've been from Hawaii, New England, Utah, Colorado, Wyoming, South Dakota, and Alaska this year and it has been amazing!! I'm extremely blessed and lucky to have and do what I do. I'm excited to see what 2019 has in store for me!